Born in Hong Kong, Carolyn’s made Seattle her forever home. Known for its versatility (hello, rainy season) and creative locals, Seattle offers plenty of colorful, on-trend inspo for everyday style. When she’s not crafting the perfect stormy weather look, Carolyn’s empowering high schoolers as an English teacher. When you think ‘Seattle style,’ what’s the first thing that comes to mind? If you’re picturing grunge-y flannels and sneaks, think again. The city famous for its outdoorsy vibes and strong brews is about so much more than that. To get the inside scoop on this rainy city’s style storm, we caught up with Carolyn Marino, a local style setter who calls the city her home base. In partnership with Walmart, we’re traveling across the country to see how different cities put their stamp on the new Time And Tru and Terra & Sky lines. Marino showed us where these lines fit into Seattle's style sphere, plus how the lines will work for anyone — tapping three local women with distinct styles to prove it. With one city down on the Style Squad tour and five more to go, we're excited to bring you Seattle's take on the two collections. Marino wears a Time And Tru top, jeans, bag, shoes, and accessories. “Because I live in Seattle, practicality is important to the people here,” Marino says. “You rarely see people dressing in things that don’t make sense to the weather or terrain.” That means a Seattle-ready look can handle anything, whether it's yo-yoing temperatures or a fully packed schedule. Putting modern twists on traditional pieces is a styling trick Marino loves — like adding an updated edge to the classic statement top. 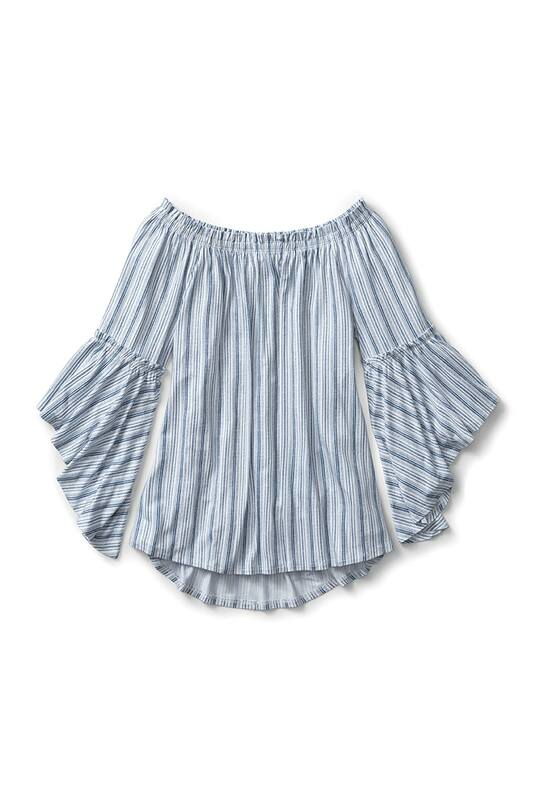 "The off-the-shoulder look is still really trendy for spring," she says, "but another thing that’s been really fun for spring are dramatic sleeves." An earring with an architectural vibe, fresh white denim, and polished d'orsay flats complete the look. While Seattle residents always dress for weather, Marino says, there's a huge misconception that 24/7 nature-centric looks are the norm. "While those are really part of our roots and people are proud of that active lifestyle, the modern Seattle working woman is not just found in some of these raincoats," she says. "We might want more of an updated silhouette, and we might want something more feminine and modernized." Houlahan wears a Time And Tru dress, bag, shoes, and accessories. When it came to Houlahan's look, Marino said the chambray dress is a fun staple wardrobe piece for Seattle. "It's just easy to throw on," Marino points out. "You can belt it or let it hang looser for more of an artist look when it's not belted." For Houlahan, too, the dress's appeal was in its versatility — how she can easily dress it up or down with darker jeans. But for someone who turns to her surroundings for inspiration, the dress's blue-gray hue makes perfect sense for the overcast coastal city. "I love accenting with nature," she says, "I like basing my wardrobe off what the natural world is doing." Haskins wears a Terra & Sky dress and Time And Tru bag, shoes, and accessories. Haskins's peasant-style dress gave off major boho-chic spring vibes, Marino says. "That silhouette is also one of those classic silhouettes, and I love that because you can wear it with a sandal, but then you can transition it to fall and wear it with a denim jacket or maxi cardigan." This would be Haskins's go-to spring date night look — likely spent enjoying drinks with a side of live music. "It's totally me," she says, "but it's North West-y because of the lighter material. It kind of has a peasant-y look to it, which is counterintuitive to what people think someone like me would wear." Tying the dress belt to accentuate her waist was another element Haskins liked. For her, Seattle style isn't about blending in, but being yourself. "You can wear and be whoever you want to be, so there isn’t really a way people are expected to be," she says, "I just kind of do me." Turina wears a Terra & Sky top, jeans, and Time And Tru shoes and accessories. Whenever Garner can, she opts for a little more color in her look. "It changes my mood — the brighter colors," she says. "It makes me excited to feel so spring-y and light." The pink top with criss-cross back detailing and colorful embroidered jeans are her ultimate everyday spring look, and a crisp white sneak makes the look perfect for a walk along Seattle's waterfront. 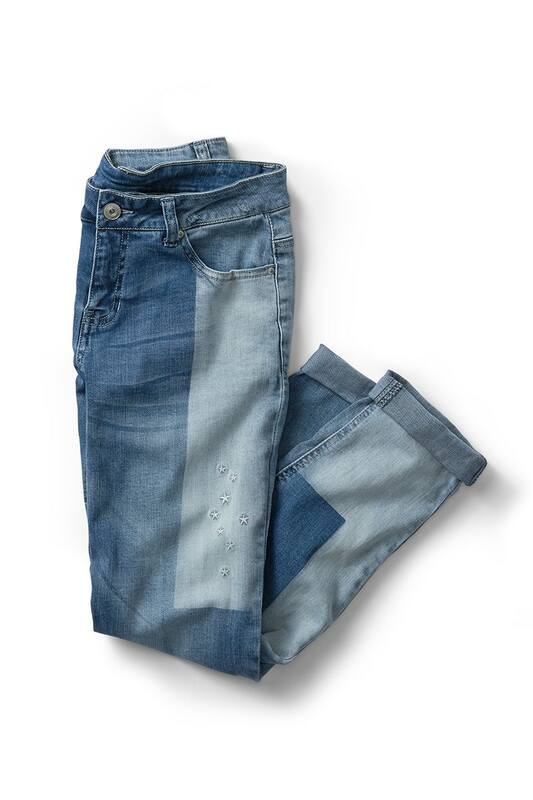 Marino spotlighted how the denim keeps with Seattle's tendency to update the traditional, too. "It's switching it up a little, so the classic jean will never go out," she says. "But it goes back to the philosophy of Seattle dressing, which is updating a classic look and making it feel more current." 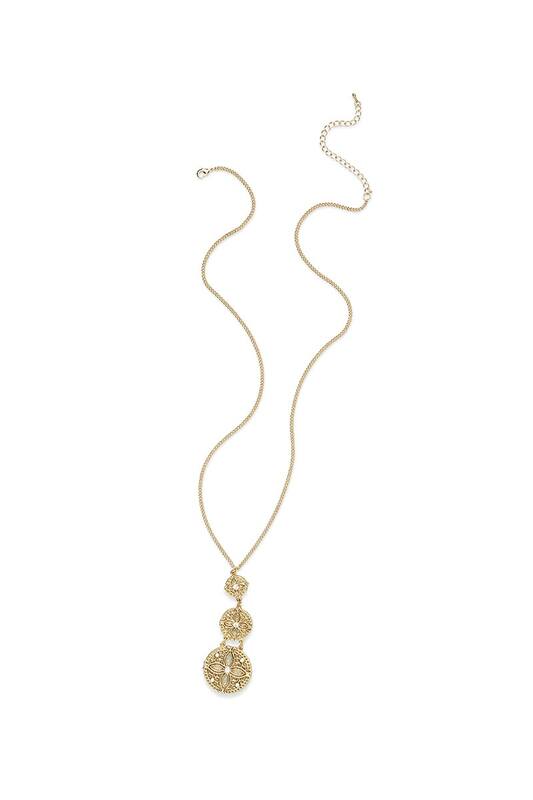 This understated gold pendant easily dresses up a casual look for brunch or a night out. Classic stripes perfectly balance the on-trend cut of this top. Pair it with white skinny jeans and some cork wedges. 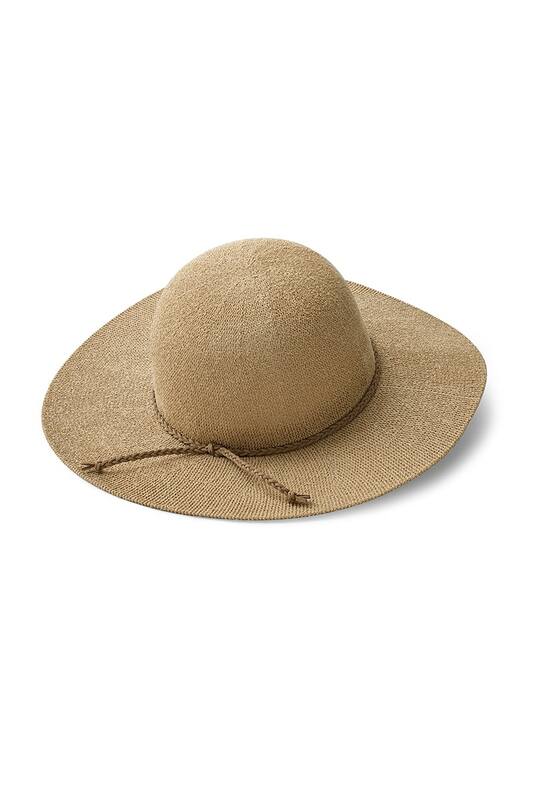 A neutral floppy hat is a spring/summer must-have. The perfect boho vibe for a festival or farmers market. This blush tone is a great alternative neutral. 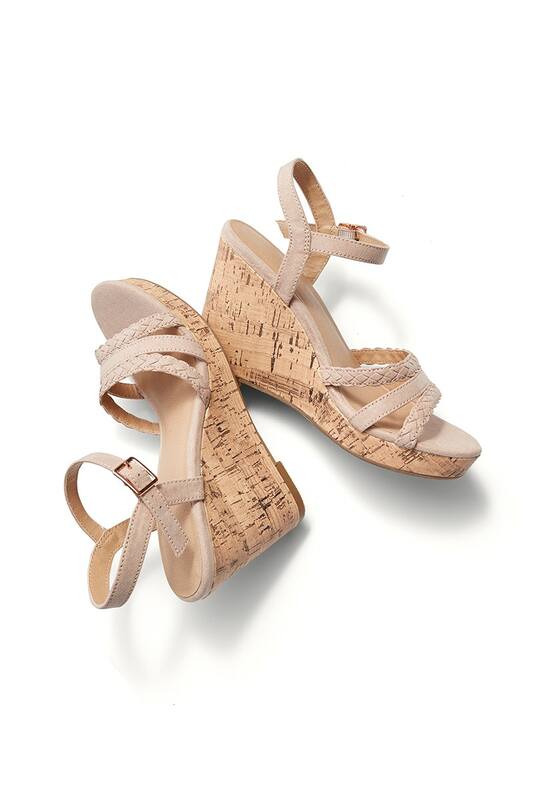 Carolyn’s styling these with sundresses for picnics and special summer occasions. Carolyn loves this statement denim. She’s balancing them with a white tee and leather jacket for a night out with friends.